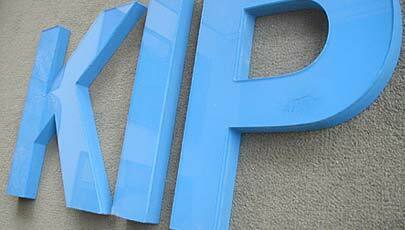 Individual routed sign letters are the ultimate in cost-effective signage solutions. Cut sign letters can be made from a wide variety of sign materials including PVC (plastic), wood, foam, HDU (Sign Foam), metals, and acrylics. 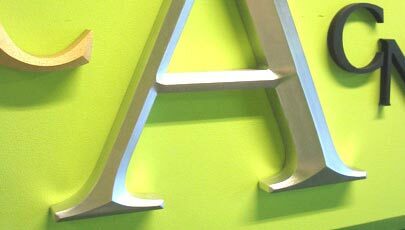 Our individually computer routed sign letters are made to order in your choice of material, thickness and finish. Our sign letters can be mounted to any interior or exterior facade material, and will provide a lifetime of maintenance free use. Best Sign Monuments stocks an endless supply of sign materials, sign finishes, and typefaces for individual sign letter fabrication. We have your every need, and all under one roof. 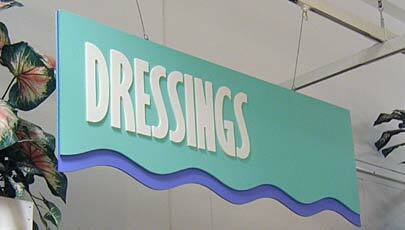 We have fine-tuned every aspect of made-to-order Routed Sign Letters. You will be in touch with an experienced sign designer, seasoned in cost-effective solutions. We listen to your needs and deliver! Our team is a collaboration of artists with decades of experience in dimensional signage and Routed Sign Letters. Your project suited to your needs. We will provide you with the most dynamically designed signage solution. We will help you to brand the individuality of your company or property. Custom routed sign letters & logos provide a sense of distinction and permanence to your business. Our sign monuments are the style most desired and required by municipalities nationwide for an all over better looking community. With over (2) decades of nationwide success, we will make You Look Your Best! We welcome any challenge in routed sign letters & logos, and can produce anything you can imagine! Please use our online contact form to start your next sign project. We look forward to working with you! This entry was posted in Commercial Signs, Monument Signs by BSM Staff. Bookmark the permalink.